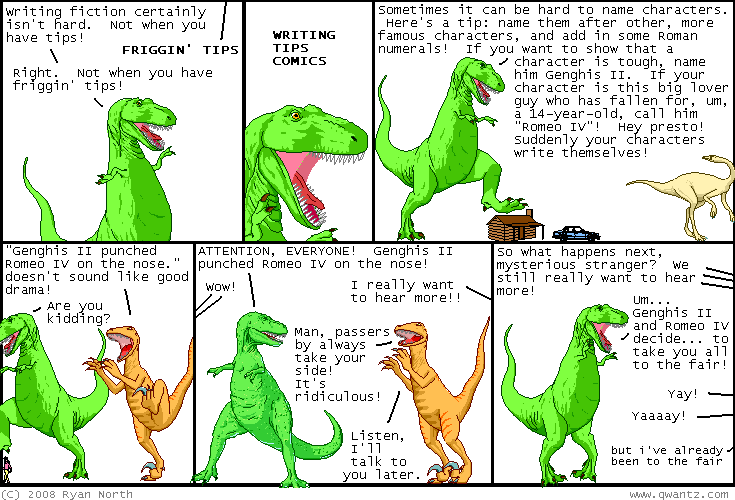 Dinosaur Comics - May 13th, 2008 - awesome fun times! May 13th, 2008: Here's an experiment which could be pretty rad! I'm going to link to the Flickr images tagged "haylookit" here for the next few days, and maybe INDEFINITELY. If you have something you want thousands and thousands of like-minded strangers to see, try uploading it to Flickr and tagging it with "haylookit"! And if you want to see something that some stranger on the internet thought you'd like, click here! UPDATE: Guys this is awesome.